If you need all-in-one bootable CD with lots of collection to work on Windows operating system, then Hiren's BootCD is one of the answer. It just released an update, Hiren's BootCD 9.5 which has numerous applications and utilities. It's size is quite big, (95.4MB), but i think it's worthed to download this CD. You may download it from this URL (Rapidshare). Due to some event as i posted before, i will not be able to teach tomorrow's class for Web Engineering which should be at 10.30 AM. Tomorrow, they will cremate the body around 9 AM and i don't know how long the process might took (as i never saw this before), so i canceled tomorrow's class and i will arrange a substitution class in the future. However, my second class at 1:30 PM will be conducted without any problem, so no cancellation for that one. This morning (at midnight), my girlfriend's father has passed away. She called me at midnight and i went to her house until this morning to calm her down. She cried all night long, because it was so sudden. Nobody expected this would come so fast, mostly because there was no symptoms at all. Her family suffered big lost. They will missed a father, husband, grand father, and father-in-law. Along with the release of OpenOffice.org 2.4.0, OpenOffice.org team also launched a new design for the home page of OpenOffice.org project. Personally, i like the new design, except for the upper right section. It's so unaccessible for most people, since the color is not so contrast. The others are fine with me. They have updated the template and it's better to comply with W3C's recommendation. The OpenOffice.org Community is pleased to announce the release of OpenOffice.org 2.4, the latest version of the leading open source office productivity suite. OpenOffice.org 2.4 includes new features, enhancements, and bug fixes to all its core components. OpenOffice.org 2.4 is available for immediate download from http://download.openoffice.org. Users will appreciate changes such as usability improvements in printing, and further enhancements to PDF handling (OpenOffice.org creates PDF files 'out of the box' to ISO standard). The default font is now DejaVu, which supports more languages/localisations than the previous BitStream Vera -part of a raft of localisation improvements covering languages from Hiligaynon to Quechua. Mac OS X users will appreciate the use of the native Quicktime player and spell-checker. appreciate new extra keyboard shortcuts for paragraph styles. Regular users of Calc, OpenOffice.org's spreadsheet, will appreciate the streamlining of data and formulae entry. Other new features include a 'smart move and copy' for blocks of cells; the ability to transform data into columns; and improvements to printing, data filtering, and the Data Pilot. Usability improvements have been made to Draw, the drawing and diagramming module, and Impress, OpenOffice.org's application for creating presentations. Both applications have enhanced PDF export capabilities. In addition, Impress now has a new range of thrilling 3D transition effects supported through an extension. The Chart module, used throughout OpenOffice.org, continues to evolve rapidly. Novice users benefit from more intelligent default choices from the graphics engine; advanced users have more options allowing them to fine tune a chart exactly the way they want it. OpenOffice.org's database application, Base, now supports MS-Access 2007 (accdb files on MS-Windows), and has enhanced capabilities for MySQL, Oracle/jdbc, and native (HSQL) databases. The Query Designer is also improved. OpenOffice.org 2.4 is the eleventh release in the 2.x series (launched in October 2005) and demonstrates the Community's commitment to continuous and regular improvement of its software. The next major release - 3.0 - is planned for the autumn/fall this year. If you would like to help us, please visit http://contributing.openoffice.org. Does anybody experience a very slow access (and sometimes not accessible) of PermataNet? I have been trying to login into the site, but in most cases, i got a timeout response. Even if i managed to logged in, it's very slow and nothing can be done at all. This time, it's an official release by Mozilla. Mozilla Firefox 2.0.0.13 and SeaMonkey 1.1.9 has come out to release several problems concerning security and also performance improvements (both application share the same engine, so the release notes are the same in most cases). Update (26 March 08:48): Thanks to Andrew who pointed me to this URL. I guess we all should wait until the official announcement which will be available shortly after all international mirrors have been notified about the new release. Usually it would take 24 hours, but it can be more than that. CodeWeavers, the company known for their WINE patronage and WINE-based CrossOver Office product designed to run Windows Office applications on Linux, has kicked their foot in the door into the Linux gaming sector. CrossOver Games uses WINE and is very similar to CrossOver Office in fact, but the difference between their two products is that CrossOver Games will be updated much more frequently and is designed just for Windows gaming software. So in the future, most games in Windows are playable in Linux as well (with some amount of money to buy the license of course). If you think automated accessibility testing is expensive and complex, then think again. Now you can use WAVE - Web Accessibility Evaluation Tools to help you automate the process. All you need to do is enter your site and let the system do the rest. You can also upload the files or copy the whole code in the textbox and let them verify it. Is that it? No!!! You can also install the toolbar (Firefox extension), use the bookmarket, and add the URL in other application (eg. WebDeveloper extension). WAVE is a free web accessibility evaluation tool provided by WebAIM. It is used to aid humans in the web accessibility evaluation process. Rather than providing a complex technical report, WAVE shows the original web page with embedded icons and indicators that reveal the accessibility information within your page. Even though it's marked as Beta, i found it very stable and usable. Try it for yourself and see the results. One good example of a good website that combines accessibility and creativity is CSSZenGarden. The system found no accessibility errors on that site while it continues to amaze lots of people by it's beauty of design. After quite a long weekend last week, we all going back to normal activities starting today. That mean lots of papers to be done, meetings to attend, papers to be written, homeworks to be done, and many more. As for me, i had to reschedule my teaching schedule, due to unpredictable holiday last Wednesday. It wasn't an official holiday, but it was decided to be a holiday. Personally, i didn't agree with the decision, since it was told only one day before. Many lecturers were shocked to hear the news. For those who didn't have a schedule on Wednesday, it would be a good news, but i have a class on that day, so i had to make another class to switch for that day. Another problem is that we are now testing five days of work, meaning that we couldn't conduct a class on Saturday anymore. Well, for now, it isn't a big problem for me, as i had my master degree on Saturday, but for others, this is big issues. Just now, Manchester United beat Liverpool at Old Trafford with significant goal difference, 3-0. It seems that Rafael Benitez is still unable to break Fergie's record at him. With this big win, MU gets six points clear over Arsenal which will go against Chelsea in the next few hours. Easter Sunday is a very special day for Christians all over the world. In the year of 2008, easter falls on March 23. Easter Sunday is the most important Christian holiday for believers. It is normally observed in either March or April to celebrate the resurrection of Christ. 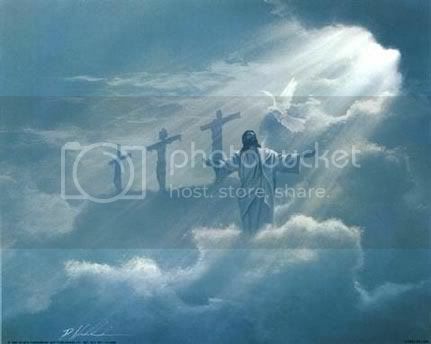 It is believed that Jesus rose from the dead, three days after He was crucified in AD 27-33 (Good Friday). With so many people from outside Jogja (and Indonesia), it's very useful if you have those kind of map, since you will surely need to find a nice place to eat. I don't know who much does it costs, but i think it won't be that expensive. If it listed lots of places, then i guess it's worthed to but one of those. Wine team is targetting Wine 1.0 will be released in June, and yet they still follows their two week release up to now. They have just released 0.9.58 which sets the default to Windows XP among other improvements, like the new JS support, richedit, and many more. Check the announcements for more detail changes. Studious – Whether they are reading books or observing others, successful professionals are always learning. Flexible - Remember, the business you are in will constantly evolve. Likewise, you must evolve with it in order to obtain and maintain success. Ambitious – No one gets to the top by slacking off and procrastinating. You need to seize every opportunity you have to reach the top… short of trampling others along the way. Charismatic – There are very few careers in this world that don't require you to interact with other people. You need to be charismatic, personable and always networking. Analytical – No matter what type of business you are in, an ability to analyze data and figures is always a huge bonus. Focused – The successful businessperson sets goals and focuses on how to obtain them. This helps a person to navigate through any obstacles or setbacks. Outgoing – Networking is an art that requires the skills of an extrovert. Don't give up on developing this trait if you are currently an introvert, as you can certainly change that. Tech-Savvy – No, you don't have to be a code monkey to become a success in business. It doesn't hurt, but you really only have to be more tech-savvy than the average Joe. Courageous – It isn't easy to stick one's neck out every day to obtain success. The business world is not for the faint of heart. Accountable – Are you responsible with your time and your work? Being punctual with deadlines, as well as adhering to any other commitments, goes a long way with business connections. Successful people are cut from the same cloth when it comes to the traits above. However, you don't have to become a robot/clone to develop all of these traits. In fact, it will also give you an edge to maintain your unique personality along your path to prosperity. Heather Johnson is a freelance business, finance and economics writer, as well as a regular contributor at Business Credit Cards, a site for business credit card and best business credit card offers. Heather welcomes comments and freelancing job inquiries at her email address heatherjohnson2323@gmail.com. Few days ago, i got an email from Heather Johnson, a professional writer who wanted to write an article on my blog. I agreed with the deal, but i'm the one that approves the articles (since it's my blog anyways). So starting today, Heather Johnson's article will sometimes comes up in my blog (of course it's in English). Google is a large and serious company, but it never forget "fun" things at their work. They celebrates any events around the world with activities, new logos, and many more. 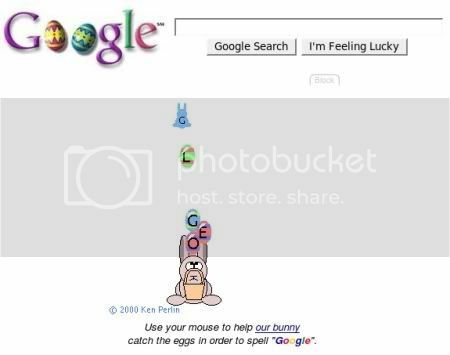 This week, it will be easter day and Google will not miss that too. They have prepared a nice game on their website where you acts like a rabbit and trying to collect falling eggs to make up words "Google". this post also marks my 1500th posts. It's another milestone for me Now heading for 2000th posts. Due to some showstoppers, OOo team need to release another RC release (RC 6) which eventually delayed the final release of OOo. In their Wiki, the final date is not yet set (the 20th of March is being marked invalid). Let's hope they don't delay it until next month. Apple has released Apple Safari 3.1 and this time, their product is no longer marked as beta, meaning that public users can use it. According to their test, it can deliver higher performance compared to Firefox and Opera (i don't know whey they don't include IE on the benchmark). I have download the latest Safari and since it's only available in Windows and Mac platform, i used Wine (0.9.57) to install it on my Slackware. It was installed perfectly, but when i tried to ran it, i got a stack dump and i can't execute it. Too bad. I really wanted to test the latest browser from Apple. Let's hope Wine's developer will add Safari on their TODO list in the future (before 1.0 gets released). Few days ago i have mentioned that Speedy was upgrading their bandwidth to several users. 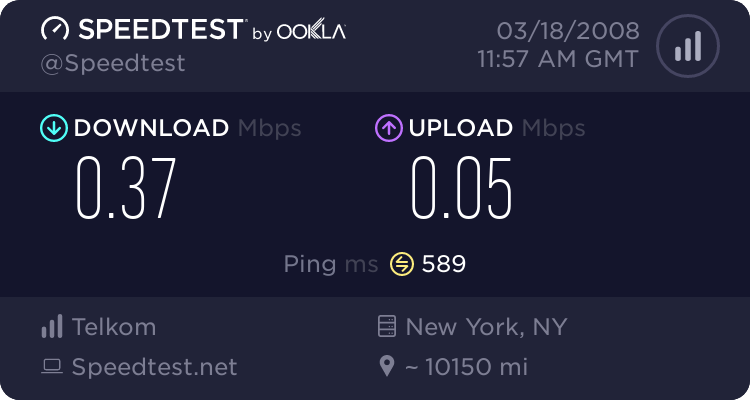 Today, i tested the connection using SpeedTest and here's the result. I use server in Jakarta as the first testing subject. At the screenshot you can see that the download rate is 890 kb/s (kilobits per second) meaning that i can get around 111 KB/s (kilo bytes per second). The upload is 105 kb/s, meaning i can get around 13 KB/s. While this calculation is far from the offer (1024/128), it's far better than previous one (384/64). It's normal to have this number, as it's probably connected to IIX networks, so it should be very fast. The second server that i used is on New York, USA. The result is shown below. If you see the number, don't get surprised, since it tried to access external server outside Indonesia. The speed dropped by half, but i think it's still quite fast. Besides using this kind of testing, i also tried to download several big files, for example the latest VMWare (Server/Player) which approximately 160-180 MB each. Each file took me less than 30 minutes to complete with average of 105 KB/s. The strange thing is when i download files from Rapidshare, the speed is way below. I only got 50-60 KB/s. One good thing have been adopted by 21Cineplex websites. They provide RSS feed for each theater in every city. For example, for Yogyakarta, you can see the feed here. Now, it's getting simpler to view the movies being shown without having to visit the website. Too bad they don't give which studio and what time the movies are played. So far, they only gave picture, a brief description, genre, and a link to look for the schedule. So it's another RC release by Linux towards 2.6.25. It's not there yet, but we are closing to it. The final kernel is scheduled to be released in April, but that depends on the number of show stoppers. The Changelog has noted every single commits since 2.6.25-RC5. One of the beauty of Open Source is the ability to hack into the codes and modifies it to suit our needs. One of the most popular Open Source project currently is OpenOffice.org. We are all waiting for their upcoming 2.4.0 release which should bring quite significant improvements over 2.3.1 (the current stable version). Meanwhile, the developer is busy working with the next major version of OpenOffice.org 3.0. One of the most anticipated components of OpenOffice.org on every major release is the splash screen. Before OpenOffice.org 2.0 comes out, OOo team held a contest to pick the default splash screen which will be included in 2.x series and Brendan Whelan won the contest. Andrew Z wrote on his blog about how to customize the OOo splash screen. If you don't like it, you can disable it or even remove it. Or, if you prefer to use other images, then you can replace the default splash screen with your own images. Note: If you are using the default option, the progress bar will not be in the correct position. I tried to modify the sofficerc file and edit this line : ProgressPosition=10,213. Now the progress bar fits on the correct place (below the text). What's The Reason You Use Linux? I agree with his opinion, mostly the first one. I can have total control of my system and i can do lots of things with it. I can compile my own kernel, modify the desktop, changing the icons, and probably breaking it (and recover it again), and many more. This is something that i may not get while in Windows (well, some of those actions can be done, but sometimes, you will need third party application which are commercial). It's a tough week for top four of the Premiere League clubs. Most of them won by a difference of one goal (except for Arsenal who had a draw). MU beat Derby by 0-1 (away), Liverpool won 2-1 from Reading at their home after a goal down, Chelsea won 0-1 against Sunderland, and Arsenal had a draw 1-1 with Middlesbrough. The competition is on high right now, as the point difference is getting smaller and smaller. At the half of the season, people thought it would be MU-Arsenal competition, but right now, Chelsea had a grip to grab the title for this season, as Arsenal keep getting a draw in the last two matches. Few months ago, i was told by my friends that NetBeans 6.0 has been released and we can start ordering the CD if we couldn't afford to download it from the Internet. I ordered one at that time and today, the CD have arrived. It was sent from Sun Microsystem in Prague, Czech Republics. Telkom said that they wouldn't gave any compensations regarding to outage for one day earlier this month, but this morning i noticed something different. My modem's LED has turned red, meaning that the Internet connection was down. I tried to restart the modem, delete the account and make a new one, but everything failed. When i logged in to my modem interface, i saw something different. My bandwidth is no longer 384kbps, but 1024kbps (1 MB). The upstream was also doubled to 128kbps from 64kbps. I'm not sure whether it's part of Telkom's compensations or Telkom is trying to upgrade their Speedy's bandwidth (which is good step). I asked the customer service and they told me that not every users got this upgrades. I wonder if any of you experienced this too? OpenOffice.org 2.4.0 should be out today, but there's always a showstopper that must be tackled, so it is delayed until 20 March (only five days left). I hope they can fix all those problems in short time and we will not have any delays again. By the way, the next OOo 2.4.0 will have lots of improvements, mostly on Calc's chart features. You can see the detailed here. Some companies blocked some application that are related to instant messaging service, like Yahoo Messenger, Windows Live Messenger, Pidgin, Kopete (parts of KDE) etc. They think that this application can reduce their employee's productivity since their focus sometimes gets distracted by other people (sometimes it helps also, when you needed some help, you can just easily send a message to your friend and you could get instant reply). Their quest to find a simple solution has come up with some web-based instant messaging service. Since it's web-based, most companies will allow their employees to browse the web, meaning that you can use this opportunity to get in touch with your friends again. There are several websites that offered this service for free, like Yahoo's Web Messenger and Meebo. So far, Yahoo's Web Messenger has done great job to mimic their Yahoo Messenger and transform it into web-based application, but the problem is that it requires faster Internet connection to load the initial application. I often failed to login and finally i left it. Meebo is an alternative if you want to use other than Yahoo Messenger's protocol. It supports MSN, AIM, Google Talk, ICQ, and Jabber. Meebo seems to fix fast Internet connection requirements for me, but when i tried to logged in, i only find partial of my contact list. I don't know why, but i do have lots of contact lists (perhaps more than 600 peoples). 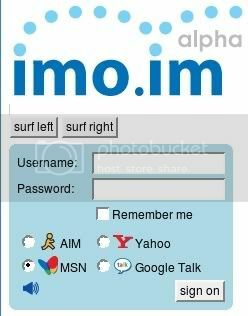 IMO is a web-based instant messaging service where you can instant message and video chat with your friends on AIM, Google Talk, MSN, and Yahoo Messenger. IMO has also created a version of imo for the desktop. Now you can choose to have imo start up and sign you in automatically when you turn on your computer, all without having to open a web browser. The service also offers a Facebook application, which allows you to IM and video chat with friends on Facebook. It's still tagged alpha for now, but so far, it worked nicely. I can login to my Yahoo accounts very fast and it can list all of my friends. It only shows people who are marked online (not including the invisible) and the rest will fall into offline categories. On the chat dialog, there's a link that can be used to start webcam, but since i don't have any webcam, i couldn't try it. Unlike Meebo, you can login to multiple accounts at once using IMO. You will have the same interface and there will be an option to link the accounts to join the contact list on one single window (nice isn't it?). To sign off, just untick the account name and you're off. Very simple. You also have the option to sign of from all of your accounts. While IMO still lacks lots of feature compared to Yahoo Web Messenger, it does provide a very good basis for further development and i'm looking forward to see their updates on this application (i wish for conference support). You're good at coding? Well, you can join their projects and help them improve this nice application. Carlo Wood has made a tool to undelete files on EXT3 filesystem. It's called ext3grep. This tool is available after he accidentally delete data in his home directory (3 GB) with rm -rf (one nasty command -- DO NOT TYPE THIS ON YOUR SYSTEM AS ROOT!!). He then studied how EXT3 works and created a tools to recover the files. He also provides explanation about basic EXT3 scheme and some demos on the tools he created. The program is still under heavy development and he can't guarantee that it will out for you since he stopped the development as soon as he managed to recover his files. The source code is not available for download, but you can send him an email and asked for the source code and he probably will give the source code for you. One of the advantage of having premium Rapidshare account is the capability of using download managers, so that you can download in parallel, causing faster download and no waiting time. The problem is that most of the download manager supported by Rapidshare is for Windows platform (i used Flashget). In Linux, i couldn't use wget and Firefox's resume capabilities don't work. So i used Opera since Opera can resume the operation even if it's disconnected. Another problem solved, and a new problem arise. When i used Opera and download multiple files from Rapidshare, my Speedy connection often disconnected by itself (i don't know why) and the download stopped, since Opera don't have retry features (yet). I must resume the download manually. Since Flashget is supported in Windows, why don't i tried it on Linux using Wine? So i installed Flashget through wine and it worked, but when i tried to test it to download file from Rapidshare, it didn't worked out. It seems that Flashget running via wine is not able to capture the session of my Rapidshare account, so Flashget failed. So Flashget does work, but it couldn't be used for downloading from Rapidshare. I will conduct more test on this one as it should be working (from my opinion). FYI, Prism is part of a series of Mozilla Labs experiments into bridging the divide in the user experience between web and desktop apps and exploring new usability models as the line between those kinds of apps continues to blur. Few days ago, Mozilla team has released fourth beta release of their next generation of Firefox browser. 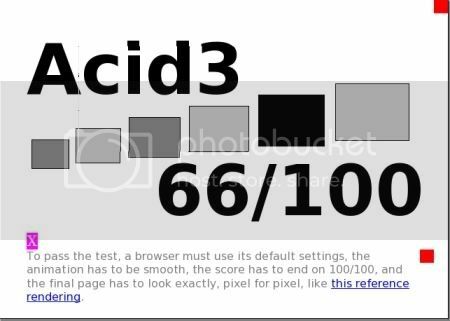 I have downloaded it and testing it for ACID Test3 on Linux platform and here's the result of the Acid test 3 (check the screenshots). This beta release is getting better with the specifications since it encompasses 900 enhancements since the last beta (according to the Release Notes). According to my previous test, beta 3 produces 58/100 for the Acid test, while this version produces 66 (67 on the first run) out of 100, which is a significant improvements. I still believe that in the final version, this numbers can get higher and higher, meaning better compliance with the specifications. If you are a busy person with lots of activities but sometimes you often forget something, then it's a good idea to install this application, Rainlendar. It's a customizable desktop calendar which can help you manage your tasks and meetings (it's like your PIM). One nice thing about this application is that it's available in Windows and Linux platform. They provide two versions: lite and pro (paid). 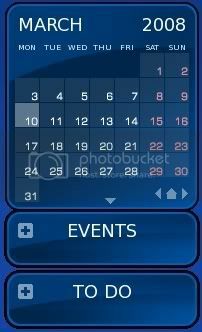 The difference are in network shared calendars and Outlook support (these features are only available on pro version). Actually i knew this application from one of my students who have used this application in Windows but he wanted to install this on his Slackware laptop since he has wiped out Windows and switched to Slackware (but he failed since the minimum requirements is not met in Slackware 12.0. I can installed this application on my desktop, since i used Slackware-Current). The requirements are simple, libc6 and gtk+2 (2.12 and above). If you don't use Debian-like system (which uses deb format), then i suggest you to download the binary version. 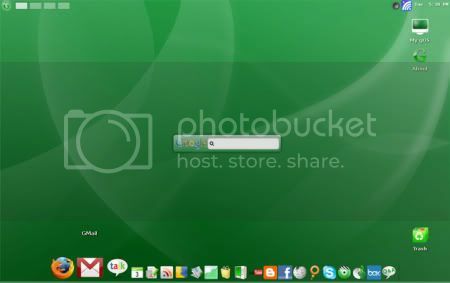 The screenshot is taken on Linux version with default theme (the themes can be customized also). I was asked by one of my friend to write Linux-related articles about personal security testing using BackTrack Linux distribution. Actually, i have heard about BackTrack reputation as the most-used Linux distribution for penetration testing (sometimes also used for hacking), but i have never used it before up to now. Few days ago i have download the ISO (the latest version - Beta) and burnt it to CDROM and today i tested it out on my office desktop (it's a LiveCD Linux distribution, meaning that you don't need to install it on your system to use it as it boots directly from CD/DVD ROM). At first, i didn't know that it was based on Slackware, until i saw the message displayed during boot process. It's the same as the Slackware's script. It looks like that the author has switched several times and finally decided to use Slackware as the basis. By the way, BackTrack gives you several option at first boot. The first option is to use KDE as the window manager. If you don't like KDE, you can use Flux or even text-mode. Unfortunately, the installation script is not yet tested, so i don't know whether it's possible to install the backtrack on the hard disk. If it's possible, then i guess it will be a good distribution for lower specs system, like Slackware or VectorLinux. When i was in junior high school, i still remember that NBA was very popular and it was broadcasted in television weekly. Even during final test, we would spend our free time watching the NBA All Stars which occasionally broadcasted at morning (around 9 AM). But when i was in high school, NBA was no longer available in most local TV station. The popularity of basketball was way below football (people sometimes called it soccer) and it happened up to now. I remember it was SCTV who always broadcasted NBA matches (and also NBA All Stars) for a few years. ntfsresize: Safely resize NTFS volumes. ntfsclone: Efficiently clone, image, restore or rescue NTFS. ntfsmount: Access NTFS read-write using the FUSE module. ntfsfix: Schedule NTFS check for the next Windows boot. ntfswipe: Wipe junk from unused space. By the way, Slackware 12.1 (not yet released) will have NTFS Read/Write support since it has been equipped by FUSE and also the latest NTFSPROGS (see -Current changelog per 8 March 2008). After installing the packages, you can start configuring your /etc/fstab and change the ntfs type into fuse.ntfs and add the rw option to make it read/write. Remove the border for the blog title and description and also make it bigger and bold. It's all borderless now. I have tried to add background for the upper section, but the results are not good, so i reverted it back. Do you think Microsoft Excel can only be used to calculate values? Well, think again, since Peter Rakos has published an interesting article about 3D Game Engine that uses Microsoft Excel as the basic engine. It's not the bleeding-edge engine that can be used to produce famous games like Half Life 2, Unreal Engine (Unreal Tournament), idTech 4 (Doom 3), CryENGINE2 (Crysis) or Clever's Paradox, but it's for simpler usage. Congratulations to the BSD Team. Even though not all browsers have fully passed the Acid2 Test, it doesn't mean that the WaSP just stopped there. They are trying to make another progress by releasing Acid3 Test. The goal is to have all browsers outputs the same rendering like in the reference pixel by pixel. So far, none has managed to passed this test yet (yes, it's a failed parade so far), but we will soon enough. I have tested Firefox 2.0.0.12 on Linux and it produces 50/100, while Firefox 3.0 Beta 3 produces 58/100. Opera 9.26 on Linux produces 45/100. I couldn't see Konqueror's value, since it was blocked by an empty frame (it's known bug). Is it happening only on my computer or does it happened for all Speedy users? 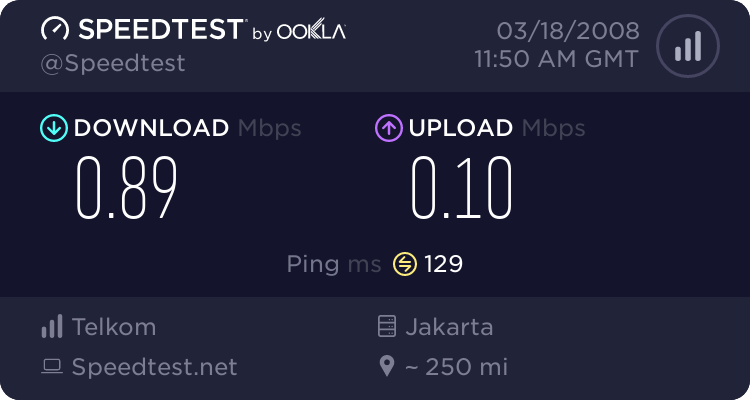 In the past, i can leave my connection up and running for more than a week without being disconnected, but since the disruption in Sumatra last week, my connection often disconnected (well, it was set to re-dial, but the download process will be stopped) and it last not longer than 3-4 hours before it gets disconnected. What's the point of having broadband access, but it's not stable? Google is very attractive and caused many people love it. They (people, not Google) even build a nice Operating System which is based on Ubuntu (+ Enlightenment) and customized it with almost every Google application, such as Google News, Mail, Calendar, Maps, Docs, Blogger, YouTube, Orkut, and some links to external favorite application, such as Facebook, Box, and many others. Need support? Go to FAQLY where it was build by contributors around the world. Even though i have abandoned Mandriva since 2005 (because it didn't work on my laptop at that time that turned me to Slackware), i still believe that Mandriva is one of the most simple and easy to use Linux distribution. It has simple installation that takes care everything for you (like any major Linux distribution). It also has most of the bleeding-edge packages (sometimes they even include beta version). with the number of votes cast over 50% up on last year. our job to face the big challenge, to land OpenOffice.org at a new shore." open-source events to be found anywhere in the world. Here's one of the most creative GMail ads, created by the Russian team. It's uploaded in Youtube. This is the english version and there are the Russian version as well. In the past, file transfers are nightmare for Linux users who uses Gaim (the previous name before it changed to pidgin). When somebody wanted to transfer file via Yahoo protocol in Gaim, the recipients that uses Gaim under Linux will crash due to unsupported feature. With the release of Pidgin 2.4.0, the developer has added supports for Yahoo Messenger 7.0+ file transfer, meaning that you can send/receive files from/to your friends. This morning, i had received an image from one of the Indonesian Linux Forum, saying that he couldn't access the forum (which i have fixed it) and it was transfered successfully when i'm using Pidgin 2.4.0 (i build it myself, since it's not yet included in Slackware-Current). If you use Pidgin daily, then i guest you should upgrade to 2.4.0 version to get this nice feature. Since i'm using Linux all the time lately, it doesn't mean that i'm offline from instant messaging-based communication. I use Pidgin for my daily application for instant messaging as it supports multi protocol (even though i usually login only to YM protocol). Once nice thing that i like in Pidgin besides the openness of the application is that it's easier to move one person to another group compared to Yahoo Messenger. In YM, you will have to drag the person to the correct group. This is easy to be done, but what if your friends are way too much? You will have to drag it way down below / up too long before you reach the group. Pidgin offers a nicer way, by offering a menu to move a person from one group to another group. All you need to do is right click the person in the Buddy List and select Move To > and it will show you a list of all groups you have. Just click on the group you wanted and bingo... your contact has been moved to another group. As simple as that. Today is the grand launching of the IIDIT program in UKDW. I had a chance to attend the event, since my class was canceled this morning. What is IDDIT? It's short for "International Dual Degree on Information Technology". In short, you can apply for dual degree for the next semester in UKDW, so if you gaduate, you will not only get your S.Kom degree, but also Bachelor of Information Technology. In this program, we collaborate with HELP University College. Here's the photo taken this morning. 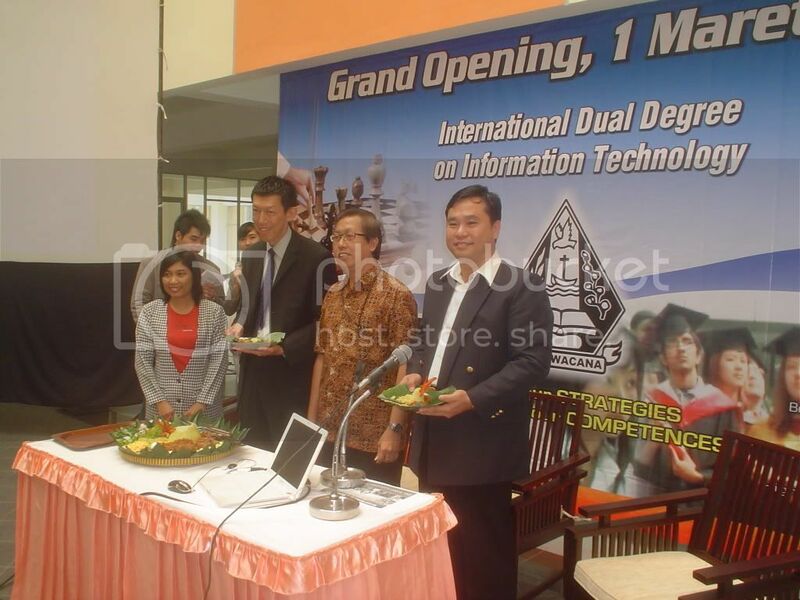 We have (left to right) Miss Lucia Dwi Krisnawati, Dr. CHOONG Yeow Wei (representing HELP University, currently dean, faculty of applied science and multimedia), Mr. Wimmie Handiwidjojo, and Mr. Katon Wijana on the picture.